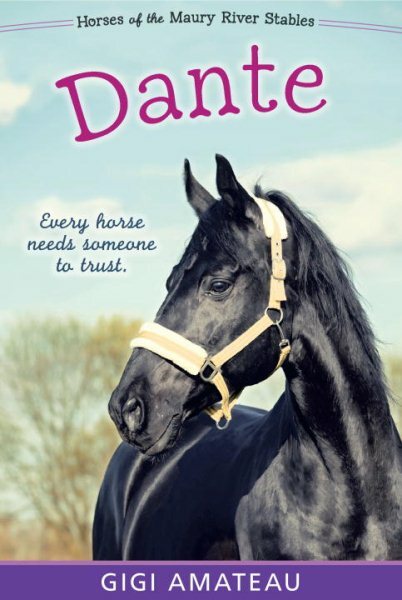 Paperback 306 pages size: 8.25"x 5.50"
Handsome but headstrong, a retired racehorse finds a second chance in this affecting, fast-paced novel told straight from the horse’s mouth. When Dante’s Inferno is born early, on a February night, there are already great expectations for him. He may be the grandson of the greatest racehorse in modern times, but Dante’s start proves a rough one, both in life and on the track. When Dante fails as a racehorse, he ends up at a Thoroughbred rescue facility run by rehabilitating prisoners before being adopted as a project horse at the Maury River Stables. It’s not easy for Dante to make friends—horse or human—but slowly horses Daisy and Napoleon let him into the fold, and a student named Ashley begins to work with him to learn dressage and jumping in hopes that he’ll find redemption as an eventing horse. Can Dante put his fears aside and succeed on the cross-country course? Narrated from Dante’s point of view, this is a story that animal lovers will cherish.